Theresa will work in tandem with you to create your perfect itinerary, whether your interests lie in adventure, romance, history, food, pushing yourself to the limit, or relaxing with the perfect craft beer! Originally from Minnesota, Theresa has always loved to travel- from the pyramids of Egypt to the windmills of Mykonos, but she came to Cusco two years ago, something stuck, and she’s been here ever since. In her free time, you’ll find her playing volleyball or trying interesting restaurants during the week, or exploring as much as she can during the weekends… always taking time to find a place with a nice view and good company to relax. My last trip was a weekend trip to the Espinar area (on the way to Puno from Cusco, kind of) with some friends. We visited some sites off the beaten path on the way to the Tres Cañones area- Mauka Llacta, Taqrachullo, as well as Kanamarka (which was covered in snow!!) and Raqchi the next day. I feel so fortunate to be just a weekend trip away from these incredible places to visit! 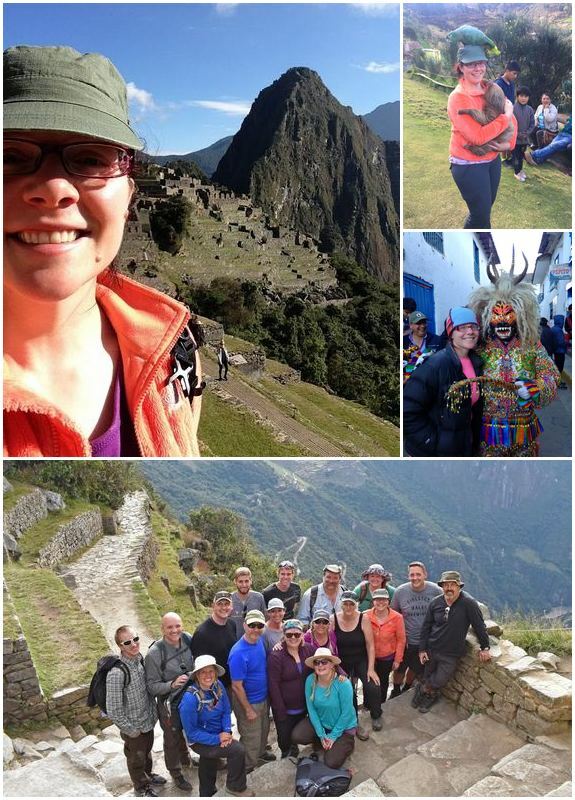 It’s a toss-up between two… the 2 day Inca Trail with my family (as mentioned above), and hiking to Choquequirao with some other good friends that had come down to visit me! These guys were experienced hikers and wanted to do something off the beaten path, and so I recommended a 5 day Choquequirao trek, The hike was quite difficult- you have to go down one side of a canyon, and climb up the other side to get there, and then return the same way- but SO worth it, not only for the opportunity to visit Choquequirao, but for the incredible views of the valley along the way! Also, this area is the only place you can find chicha de caña, which is a sort of beer made from sugar cane. 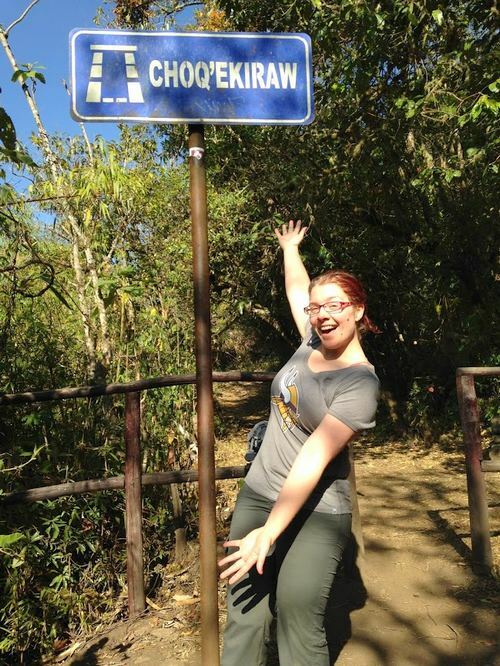 It’s said that it gives you energy to climb up and down in the canyon… and I’m pretty sure they’re right. I highly recommend doing this trek if you get the chance. My next trip (in November) will be to Puno, Colca Canyon, and Arequipa! I’ve been to Puno, but I still have yet to visit Colca Canyon, and I’m incredibly excited to get the chance!! Which day tours/day hikes are best and what to pay attention to when you get there! Craft beer and local breweries! Which trek would be best for you, based on what you like best!